I purchased the 30 CC sampler. 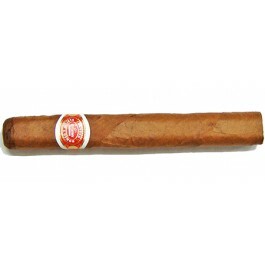 So far this is my favorite Cuban cigar. It has the creaminess, clean burn, with the slight spice that I am looking for. Flavor is great. I will be purchasing more of these for sure. Smoke lasted about 50 minutes to an hour. Gives the RYJ flavour in smaller format. had 2-sticks from CT sampler. One smoked quite well, other a little tight on draw. Well made, nice looking cigar. Good draw/burn. Not as good flavour as other RYJs, but decent smoke otherwise.